Pony Class went on a great trip on Friday 25th May to Living Coasts in Torquay. The children were all very excited about going on a long journey and even before we reached the M5 we heard the familiar shout of 'Are we there yet?'. 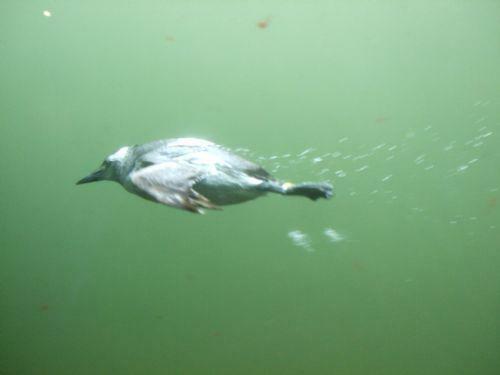 During the day we saw lots of different birds: puffins, guillemots, african and macaroni penguins and wading birds. We also saw seals, seahorses, octopus and lots of lovely coloufrul fish. Some of the children were lucky enough to see a new 2 day old penguin chick! 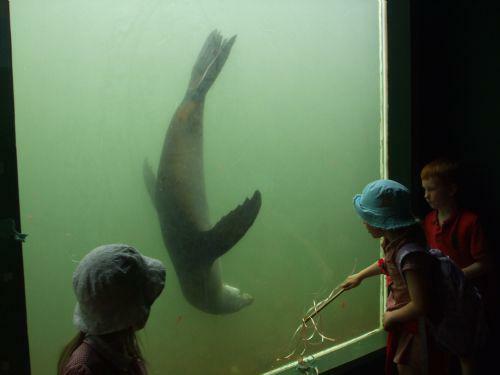 We watched seals being fed, and in the underwater sectio nwe were entranced by 'Tunanta' the seal who played with her toys for us! Amazingly the octopus who usually only comes out in the evening, was so excited to hear the children, he came out to give a fantastic display. It seemed to take a particular shine to Sam! We learnt a lot during our walk through the mangroves exploring the different sounds we could hear and looking at various animals. At the end of the day we joined the penguins at 'Penguin Beach' for a late lunch. 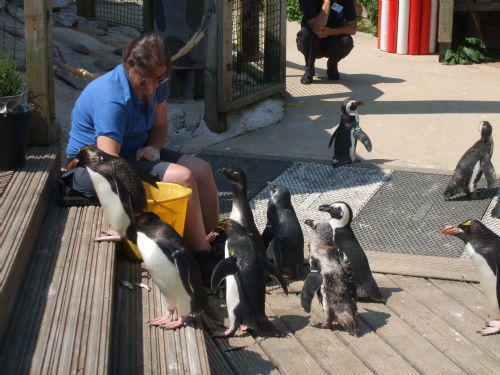 The children enjoyed watching the penguins eat and answered many questions asked by their keeper. They had clearly learny a lot throughout their visit. One of the penguins took a shine to Christopher and nearly came home with us! A huge well done to all the children for being so well behaved and thanks to the parents who came along to enjoy the experience too.